Mícheál Ó Súilleabháin at his piano, 2000 (photo: Paul McCarthy, "They Love Music Mightily" Exhibition). Recognised from an early age as a talented musician, Mícheál went on to perform to acclaim throughout Ireland and Europe, and in the United States and Asia, on his chosen main instrument, the piano. He created a unique piano style which fused elements of Irish traditional music, classical music and jazz, and these same elements informed his work as a composer. The recipient of frequent commissions, he composed mainly for solo piano, for voice and piano, for piano and orchestra, and for traditional instruments and orchestra. Among his larger-scale compositions are Oileán/Island (1988), Woodbrook (1992), Templum (1994), and Becoming (1997). He also scored for film, notably for the 1926 silent film Irish Destiny, which he accompanied live. Beginning in 1975 with an eponymous LP on the Gael Linn label, he recorded and produced a series of some thirteen long-playing records for Gael Linn, for Virgin/Venture (commencing with The Dolphin’s Way in 1987), and for EMI (Elver Gleams, 2010). He also produced and played on the recordings of many others. His numerous musical collaborators included percussionist Mel Mercier, singers Nóirín Ní Riain and Iarla Ó Lionárd, flute players Niall Keegan and Matt Molloy, saxophonist Kenneth Edge, uilleann pipers Liam O’Flynn and Padraig Keane, and the ensembles Tiompán, the Irish Chamber Orchestra, the Irish Concert Orchestra, the Irish Symphony Orchestra, the National Chamber Choir, Hiberno-Jazz, and the Abbey Quartet. Attracted to eighteenth-century Irish harp music and to classical music of the baroque period, he had lately been arranging and performing the music of the harper-composer Turlough Carolan (1670–1738). Mícheál also led a highly productive inter-related life as an educationalist. He himself was educated locally by the Irish Christian Brothers; at the Music Department, University College Cork; and at the Department of Social Anthropology, Queen’s University Belfast, where he completed his PhD in 1987 on the Dublin traditional fiddle player Tommy Potts. He was particularly influenced by his teachers Aloys Fleischman, Seán Ó Riada, and John Blacking. Working as a dynamic and inspirational music lecturer in UCC from 1975 to 1993, he opened up university education to traditional musicians without classical music training by devising new entry requirements and courses, and he created an ethnomusicological model that has been widely imitated in third-level education. He attracted a range of talented students from all parts of the country, and widened their horizons by involving them in the organisation of ambitious festivals, in the publication of CDs, and in the establishment of archives. When recruited as Professor of Music by the University of Limerick in 1993 with a brief to establish postgraduate music courses and research, he founded the Irish World Academy of Music and Dance, an evolving cross-cultural music, song, and dance educational institution with a concentration on global performing arts. It currently offers over twenty-five programmes in music, song, and dance, and in related areas such as music therapy and festive arts, and has a student body drawn from over 50 countries. Mícheál was the driving force in the creation of the Academy’s magnificent new building on the banks of the Shannon. Succeeded as Director by his colleague Sandra Joyce, he became Emeritus Professor of Music on his retirement in 2016. Mícheál published numerous articles in magazines and journals, many on the subject of his PhD; he edited Bunting’s Ancient Music of Ireland with Donal O’Sullivan (1983); and, as assistant editor of Aloys Fleischmann’s posthumous Sources of Irish Traditional Music c. 1600–1855 (1998), he managed the last stages of the project and, with others, brought it to print. He spent periods as a visiting professor at Boston College (where he established a traditional music archive) and the University of Notre Dame, Indiana. His academic awards include honorary Doctor of Music from the National University of Ireland; honorary alumnus of Boston University; O’Donnell Chair of Irish Studies, University of Notre Dame; and honorary Doctor of Music, Royal Conservatoire of Scotland. As a highly articulate and charismatic public figure, Mícheál Ó Súilleabháin gave unsparingly of his time and energies. 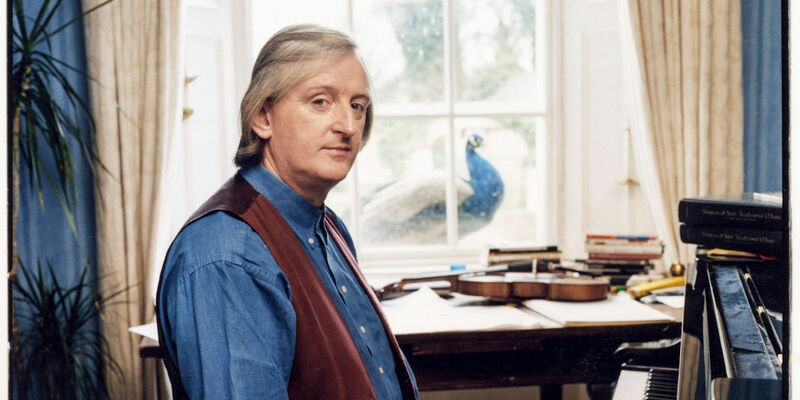 He was the Chairman of the Irish Traditional Music Archive for two terms, 1993–99; a board member of the Irish Chamber Orchestra, Dagda Dance Company, the UL Concert Hall, and the Contemporary Music Centre; Comhaltas Ceoltóirí Éireann Ard-Ollamh of Fleadh Cheoil na hÉireann, Clonmel, 2006; and inaugural Chair of the Irish arts promotion agency Culture Ireland 2005–14. Much in demand as a conference keynote speaker, in Ireland and abroad, he responded generously to frequent invitations to launch festivals and publications and to give public interviews. He regularly broadcast on radio and television programmes, in English and Irish; a highpoint of his career as a broadcaster was, with Philip King and Nuala O’Connor, the 1995 RTÉ and BBC television series River of Sound, which charted the changing nature of Irish traditional music.